Day 2 of December Sneak Peeks! We have some new products that we would like to show you this month! We now have Microbeads in four colors! These samples are made with the Manger Lamb Digital Image. These colored digis make up in a snap! On this card, I created the sky and ground with the colored microbeads....see a close up below. All you have to do is apply Scor-tape over your image! I applied it with a sheet of Scor-Tape - 8 1/2 x 11 sheet over the image (I just trimmed it to size). I then applied clear microbeads over the center of the image. I used the Candy Cane Poem Colored Digital Image for this sample. I then typed in my own sentiment to complete the card. Here's a close up...it is just so pretty in real life....I hope you can tell from this close up! Next, dip your paper in your Ultra Fine Microbeads - Clear. I decided, at this point, that I wanted a white shiny stripe, so I added a row of microbeads with the 1/2in Scor-Tape. Magnet sheets are good for so many projects: refridgerator magnets, teacher gifts and more! These are very thin lightweight magnet sheets....perfect to mount your favorite picture on, stamp some images, and hang in lockers, on refridgerators, or a metal tin! You'll be seeing some samples with this very soon! PERFECT for storage for our new die sets! Take a look at my cd cases I fancied up to hold my dies. I just think they turned out so cute! On the front, I have the pictures of the die set, and on the back I have samples made with the die set to inspire me! You can have these too! Keep reading! You can download these PDF files and create these cases yourself! All you need is a standard CD case (I bought mine at Staples, one package of White Magnetic Sheet (will create two cd storage holders), and the below files to print. Of course you will need to purchase the dies too! First, pop the insert out of your CD case. Print out the appropriate sheet for your die set and trim close to the brown lines, but not on them. Slide the above piece into the front of the cd case. Score or fold this piece on the gray lines indicated on the print out. This piece is now ready to slide into the deep side of your cd case. Cut your magnet sheet in half as shown. Apply Scor-tape to the white side of the sheet as shown. Yes, very sad to waste the white side, but the dies only stick to the black side. Place your dies on your magnet sheet. ***If there are plastic guides to go with the die set, you can place them in the cd case loose in the baggie, or you can tape the baggie to the back of the case cover to secure them. Now you can store them in a cd holder and have them ready to go whenever you need them! We have the new tape gliders in stock! A nice little Christmas gift! These tape gliders have a roll of tape in them 1/4 inch thick that you can roll on to your projects so much faster than double sided tape or glue squares! These are less than half the price of the red one! Wow! This is one investment you will pat yourself on the back for once you have tried it! Love them! You can use our tape refills that are already in stock! We have also started carrying some basic die shapes from Dies Direct! Made right here in the USA, you are going to love the value of these! All these sets are either $16.95 or $18.95! What a deal! These work in all popular die cutting machines just like Spellbinders! See you tomorrow for a little shopping therapy! An ADDITIONAL 20% OFF all items in our Clearance section! I have even left the special stamp sets from the Thanksgiving weekend sale! THAT IS UP TO 70% OFF! **Google checkout has a place for the coupon code AFTER the credit card screen. Go to Clearance Section now! Spellbinders are all 50% off! Prices are as marked. Remember that we are offering a FREE stamp of the month with a $50 order! This stamp of the month is 1/3 bigger than the normal set....quite a deal! Day 1 of December sneak peeks! Its the first day of December Sneak peeks and today I've got a new stamp set called Blooming Bouquet. Not only do we have the new stamp set, but we also have matching dies! Take a look below. As I mentioned above we've got a new die set to share with you. This is our second set in our Designer Dies Line up. You all will love this set. As you can see there are 4 pieces to this set and there is a special component to the spray of little flowers and the leaf... they are embossed!! Take a look at all the great samples and then stay tuned because Katie has a little tutorial for you to get you going once you get these dies and stamps in your creative little hands! Go to Blooming Bouquet Dies! Hey all, its Katie here to insert a little tutorial for you about this next set of dies in Lori's Designer Dies line up. So are you anxiously waiting for the 1st now? You should be... these dies and matching stamps will be perfect for all your spring time card and packaging needs! But don't worry, you can use these NOW! What a great crafty gift for your crafty friends and yourself of course. The Blooming Bouquet die set has a super cute scallop die... just cut and stamp. This die doesn't come with a clear guide because you won't need it. 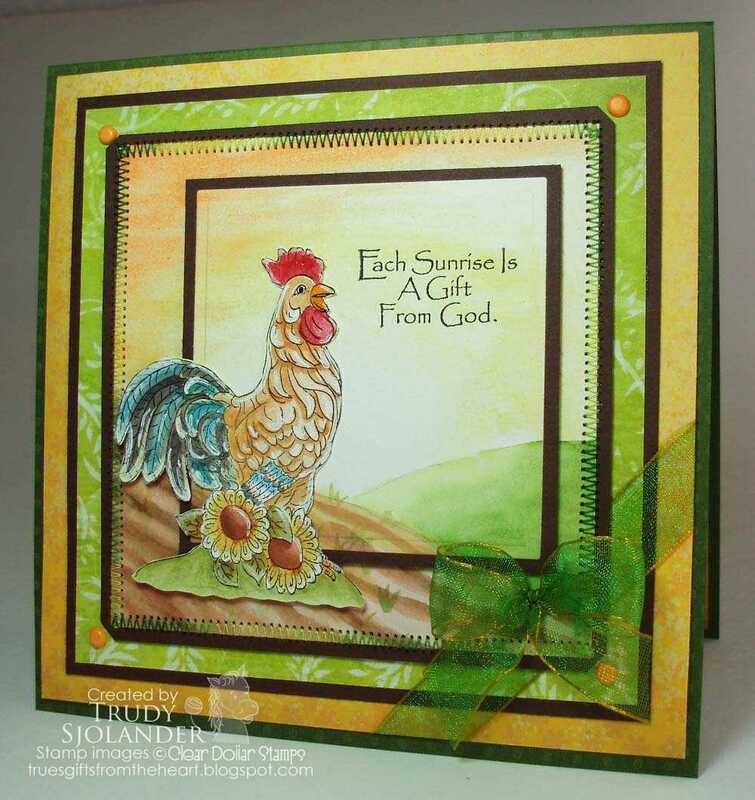 The wonderful thing of the combination of matching stamps and dies is that your choices are just limitless! Here are some super easy to make paper clip bookmarks created with these fun scallop dies and stamps. I used our newest ink colors to the Clearly Coordinated line: Tangelo Smoothie and Bubble Gum. Once I made the bookmark, I checked to see if it would fit into the Large Clear Pillowbox and sure enough it did! I shredded some Lime Juice cardstock to create some fill and wrapped some matching Tangelo Smoothie Ribbon and used the Small Scallop die to create my tag. Next, I created a card with the scallop die that is specifically geared to a holiday or Christmas theme. Don't limit yourself because its not the "right" holiday flower. Here I used some Cosmo Cricket Mitten Weather paper and paired it with some Strawberry Jam cardstock and Pucker Up ink as well as Fresh Papaya cardstock and ink, with a touch or Spring Leaf in the center. My sentiment comes from the set Snow Flourishes placed on a die from the Designer Label Die set. One more gift/holiday look for you... I love this. I started with another clear packaging product... this time the large square box. I then decided to stuff my knitted scarf into the box and wrap. I stamped one of the floral images from the Blooming Bouquet stamp set in White Stazon ink on the outside of the box and then just wrapped up my box with some White Cottonball and Strawberry Jam ribbon. I die cut the large blossom and used the same small stamp, added a sentiment from Gift Labels and I had a beautiful matching tag. Then I added some rhinestone bling to add even more jazz. For a completely different look, the new Blooming Bouquet die and stamp set comes with a completely different style of flower. This image does come with the clear guide. Its hard to see in the photo, but the die itself is embossed and will give your little flowers a debossed look. Here's a quick review of how to use these clear guides. Stamp first. Place clear guide, color in the "handles" (the holes on the side of the clear guide). Grab your metal die (ridge side down). Match the markings with the metal "handles". Tape in place and then use your favorite die cut machine. Now its just a matter of putting your "pieces" together. I stamped the fronds in Lime Juice. Here is the leaf die. Here you can see the embossed look. I love this! Here is my card put together and you know what? It looks great, but the dies add a whole other level. I added all my die cuts to my card front with pop dots. Make sure to come back tomorrow for even more goodies! 20% OFF OF ALL REGULARLY PRICED STAMPS! Enter code THANKFUL4U at checkout! It is time again to introduce a customer requested stamp set! Once a month we come out with a stamp or stamp set that our customers have put on their "Stamp Wish List." Isn't that fun? So make sure you post in the comments any special stamp requests that you would like to see for this next year! This month we have some simple tag stamps that can be purchased individually or in a group (for a group rate, of course)! These are so handy and easy to use in a pinch....perfect for super simple cards and projects! You can buy them individually for $1.99 (now that's affordable)! The space on the inside of the circle of words is approximately 1 1/8 inches. Each of these tags fits on a 1 1/2 inch circle punch. Now for some samples to see what you can do with these little tags! I found our Gift Labels Clear Acrylic Stamp set to be very useful and cute with my Merry Christmas Tag! Another Christmas tree that would be cute is Tiny Tree Clear Inch Stamp. Here I have used the Survival Kit stamp....perfect for making survival kits for our kids, our hunters, our any traveler you know! Aren't these cookie and milk brads adorable? It's a Party stamp can be used in so many ways for so many parties....make sure to check out our Brads Section to see how many choices you have! How cute are these simple little invites....what boy doesn't like tractors! Welcome little one is so perfect for baby shower invitations, thank you notes, and party favors! Pair them with the Baby Animal brads and have the cutest tags ever! Here we have some little baby shower tags or cards...so simple, yet so cute! Happy Birthday to you is a must for any stamp collection! These little cupcake brads are just my favorite! This little tag I have stamped, colored, and then applied scor-tape to the top which hold on to the pretty little microbeads! This is one of my favorite embellishments! This stamp was a specific request from a customer that had a hard time finding anything to use for her secret sister! What a great idea! This little candle is from Walmart for $1.00....what a cute little gift! We hope you will enjoy our little tags.....make up a set of tags to give as Christmas presents, use in a pinch, or sell at craft fairs....they are sure to be a hit! Hi friends, its Katie here to welcome you to another great Tutorial Tuesday. Lately,, I've noticed tons and tons of great tags being shown throughout blog land and for some reason I always envisioned tags as being small. Don't ask me where I got this perception, but recently I've realized the joy of large tags. They offer a lot of room for paper, stamps, and embellishments! Today, I'll be sharing some differently decorated tags with you. There are so many ways you could create these tags... as simple as cutting your own cardstock in your choice of dimensions and snipping off the corners, but since I already have a Cricut machine, I used mine to cut out my tags. For this particular shape I used the Tags, Bags, Boxes, and More cartridge and set my dial size to 5. These tags measure approximately 3 3/4" wide x 5 1/2" tall. 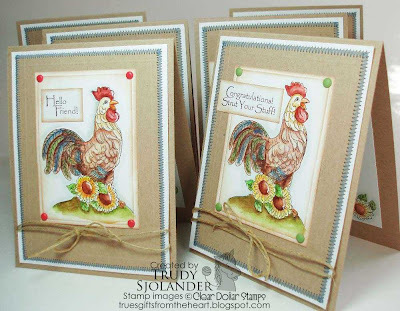 These are a wonderful way to try new techniques and use up all sorts of scraps and odds and ends. They don't have to be stuffed in an envelope so the use of embellishments and 3D items are limitless! I had so many different stamps that I thought would be so cute it was hard for me to narrow my choices down for today. This first tag uses Snow Tweet, Designer Label Dies, and Designer Label Additions. This tag really adds something to a very simply wrapped package! My next tag features the Celtic Swirl Cross and Sing to the Lord sentiment. I used versamark and clear embossing powder for my cross and then inked the entire tag with some Tim Holtz inks. For this tag, I used my favorite tree image from the set Scenic Trees. I stamped the image with Ripe Olive and then stamped again with Versamark and then embossed it with clear embossing powder. White the embossing was still warm, I added some Ultra Fine Microbeads. I then added a sentiment from Designer Label Christmas Tags and the Designer Labels. For this one, I did some more embossing and inking but this time right on the patterned paper. I used the Medallion de Fleur stamp and stamped off the paper. Again, used the clear embossing powder and then afterwards inked up the embossed area. I then grabbed the Christmas sentiment from the set Old Time Chrismas and stamped it with Memento Tuxedo Black ink. Then I added some Tropical Mist Ribbon. My final and last tag features the Jesus is the Reason stamped and then cut out. Added some fun tid bits of crochet lace and a few punched out snowflakes for a cute and easy look. Here is a picture of some of the tags put together. These holiday tags can be personalized and taylor made for your recipients! They don't take much time and are a great way use your left overs and get creative! Thanks for stopping by Clearly iStamp and have a fabulous Tuesday! Don't forget that our monthly challenge is going on right now... ---->Click HERE<--- for all the details. Thanksgiving Week sale begins today! Early Bird Black Friday Sale! This week, Monday at 9:00 am to Saturday at 5:00 pm, we are running a spectacular sale! We have picked over 50 of our current line stamps and marked them 50% off....for Thanksgiving week only! They go back to regular price at 5:00 pm on Saturday evening! available at these FABULOUS prices! You will find all of these stamp sets in our Clearance Section in the store....when they are gone, they're gone...so hurry over and get some Christmas shopping done! Each of the sets that are in this spectacular Black Friday sale have the word THANKFUL in their item number! Storage Containers for buttons and brads! not in the Clearance section! Wow! It can't get any better than that! Hi friends, its Katie here to welcome you to another fun Tuesday! Today, I'll be showcasing a new product that Lori has in the store that is really quite cool and packs quite a wallop for such a little thing. Its an EMBOSSING ANTI-STATIC POUCH that is made to make your heat embossing a breeze. This product is brand new to me in any form since I've never used anything quite like it and I'll tell you up front that I was rather impressed. I didn't honestly know what to expect. What I didn't realize is that there is a powder residue that does come off the pouch and once you rub it over your cardstock you do have to tap off any excess that is on the cardstock. And of course once you have used your embossing pouch you need to handle your cardstock with care by holding it on the edges as much as possible. For this first picture, I cut my Cottonball White cardstock like normal and I cut 2 pieces. For both pieces I used Versamark ink and gold embossing powder, the only difference was that I used the x-static pouch on one piece. I haven't heat embossed these yet, but you can see that the one on the right has quite a bit of residue. I don't honestly know what I did, but the embossing powder stuck to that section. Now, I think the true test for me was with the use of black embossing powder. I have always stayed away from black embossing powder because I always had issues with the powder staying on my cardstock, but not with the pouch. Here, I used an image from the stamp set Fashionably French. Stamped and covered with black embossing powder, but hasn't been heated yet.... see no flecks of left over powder. Here are a couple of samples I made with some of my embossed images. This first card uses a Sizzix embossing folder, labels 10 nestability, Wild Huckleberry Cardstock , Night Eclipse, and the matching tombow marker. For my second card I went with more black embossing powder... love this look. I used the largest flourish from the set Plumes and Blooms with the Designer Label Dies and the sentiment is from All Around Sentiments. So make sure when you've come to shop, throw this little guy in your shopping cart and I promise you'll be x-static when you get it home! 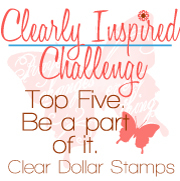 Thanks as always for hanging with us here at Clearly iStamp and have a wonderful day! Clearly Inspired Challenge going on right now!! Digi day is here again! I just can't believe it is already the middle of November! The years just fly when you're having fun! Let's get started and see what our Illustrators have come up with this month! Here is our FREE digi image for November! Now that is a nice freebie! Laurie colored it up for you so you could make up some gifts super quick! If you prefer to color it yourself, you have that option too! This sweet little tree and snowflake you are just going to love! What is so nice about digis is that you can shrink them or enlarge them for whatever project you decide to create. Laurie has also colored the snowflake and tree for quick and easy projects! This little reindeer is not new on the block...you've seen him before in stamps (Patchpal Reindeer Clear Acrylic Stamps)! We thought our digi lovers would enjoy having him for their digi collections! Perfect to make tags and Christmas cards for all your packages! I think it would also be cute to create some reindeer food packs to put out on Christmas eve! Here is a nice way to send some kisses to those you love! Create an elegant card or a sweet box of Hershey kiss treats with this digi image....your loved ones are sure to love this gift! So simple. So elegant. This little candle is perfect for anniversary cards, wedding cards, or even a holiday card! This mama chicken with her cute little chick is sure to make up some lovely cards for all your friends! I love the sayings that Trudy came up with for her chicken set...too cute! 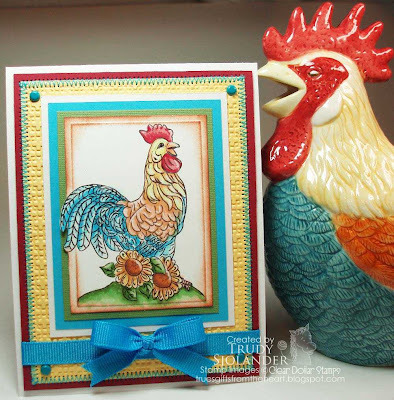 Don't foget to pair your chicken with our Rooster Stamp set by Trudy! Remember if you are new to using digi images, we have some tips and instructions here! You will also find a free image to download and practice with at this same link! We sure hope you enjoy these new digi images!